Protect your fingers from the rough repetitive contact of the bowling ball with the Storm Thunder Tape. Specifically designed for serious bowlers looking for a constant feel from ball to ball. Be sure your hands are freshly cleaned, dry, and free of lotions or oils to ensure proper adhesion. Hello Mike. There should be no difference of texture with the different colors. 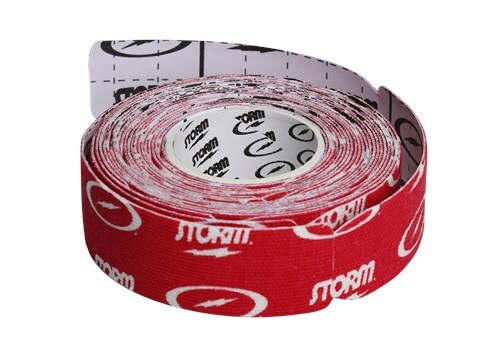 Due to the time it takes to produce the Storm Thunder Tape Strips Red 1" Roll ball it will ship in immediately. We cannot ship this ball outside the United States.